(1) Log into your pc where Discoverer Desktop is installed. (2) Find out the exact location of the ‘d51wkdmp.exe’ file. (3) Click <Start> <Run> and enter ‘cmd’ to go to command prompt. WHERE there are 3 Worksheets in this example. 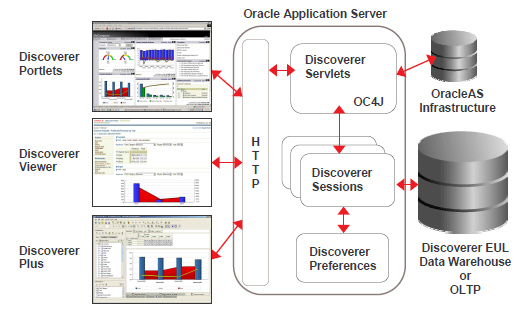 To create a link from the Oracle Applications 11i home page to a Discoverer workbook that will automatically open Discoverer Plus or Viewer and display the workbook using apps security. ‘File->Manage Workbooks->Properties’ look for the value for ‘Identifier’. Save this value. 3. Create a form function. Open the Function form and create a new function. 3.1.3 Description: Add a description of the function if you want. 3.3.1 Form: Leave the field blank. 3.3.2 Application: Leave the field blank. Eg; ‘workbook=TEST_WORKBOOK&PARAMETERS=sheetid~1*’ would open sheet 1 of the workbook. 3.5.1 Leave all fields blank. 3.6.1 Leave all fields blank. 4. Open the menu form as sysadmin. 4.1 Search for the main menu under which you want the link to appear. 4.2 Add the information you need such as prompt, submenu, description etc. 4.3 Enter into the Function field the name of the function you created in step 3. 4.4 Save the menu form. A message will appear saying that a concurrent program will run to regenerate the menus. You can cancel it if you want and do step 5 below if the menu does not appear after the concurrent program runs. 5. 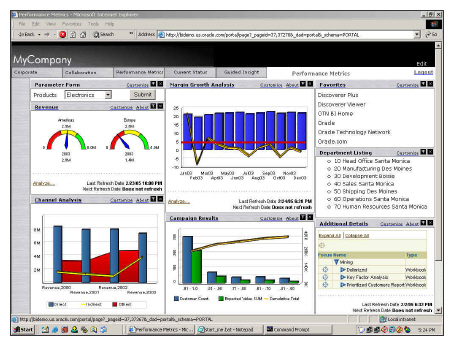 Use adadmin and recompile the menu information to make the changes appear. 6. Bounce Apache and Forms.